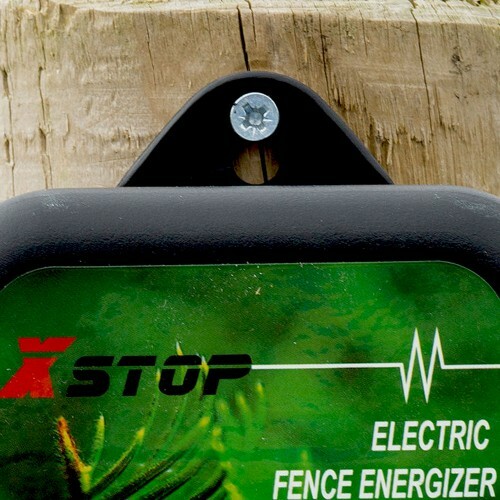 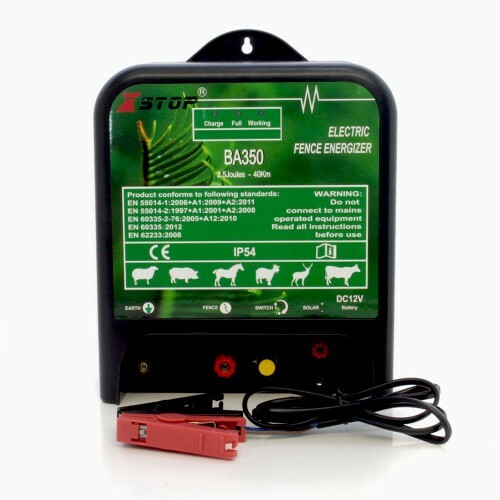 The X-STOP BA350 is a fantastic powerful 12v electric fence energiser (2.5 delivered joules) featuring advanced MOSFET technology designed to last a lifetime. 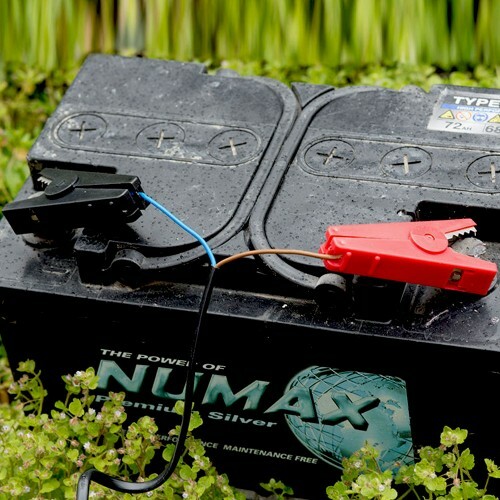 This energiser will easily power 40Km of galvanised wire fencing or longer if clear of vegetation. 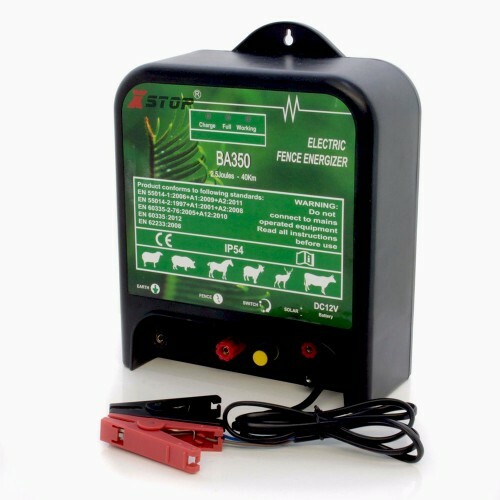 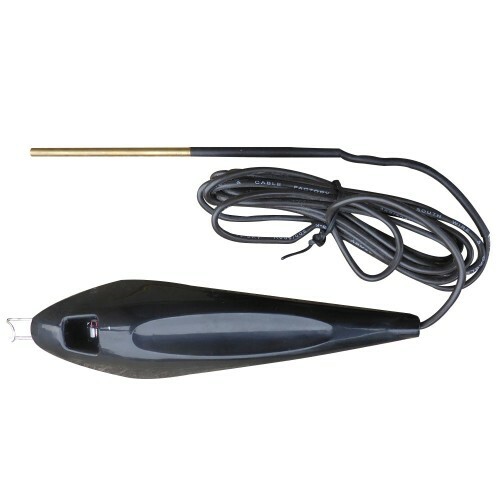 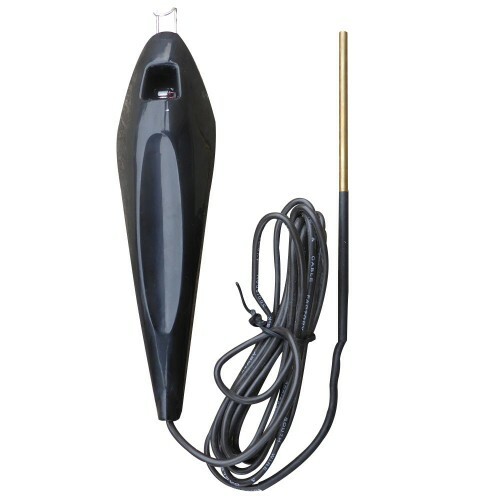 Designed to operate from a 12v battery. 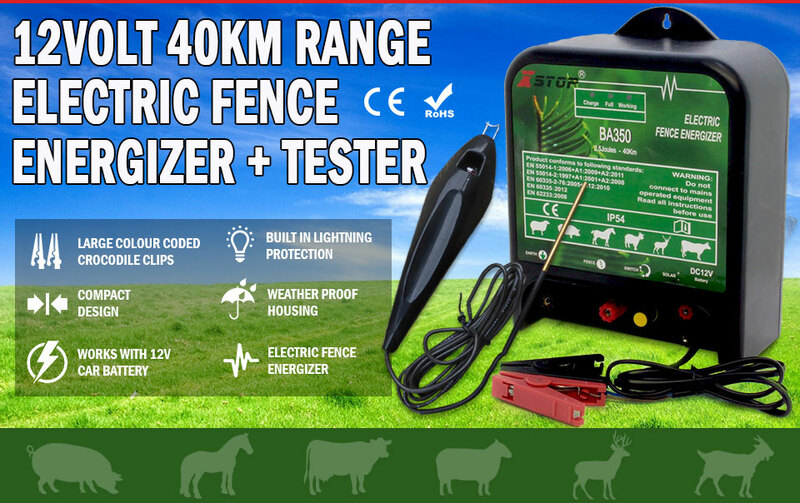 Designed for use with galvanised fencing, poly wire and poly tape electric fences. 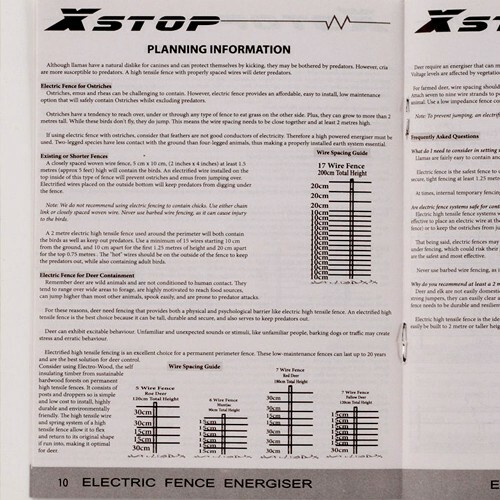 Please note that this listing is for the energiser unit and battery connection cable ONLY. 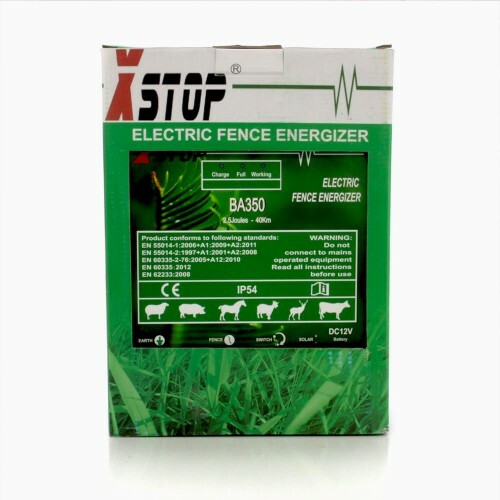 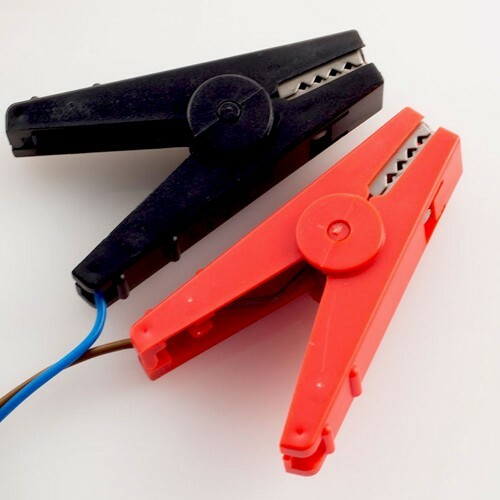 Fence, earth stake and fence leads are available separately. 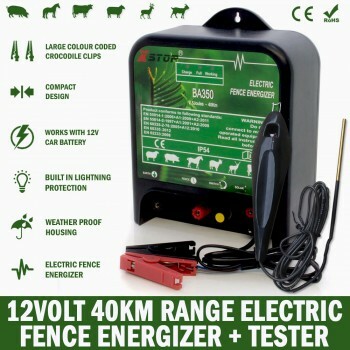 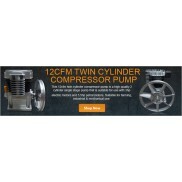 This listing is for those looking to update their existing fence energiser.